Jet Airways has only seven planes, including six turbo propelled ones used for shorter hauls, flying at present, way below its peak of 123 planes in December. "As you are aware, we have been working with the lenders to secure interim funding for our operations. The interim funding has not been forthcoming thus far, and as a result, we have extended cancellation of international operations until April 18. On March 25, the airline's board had approved 'the debt resolution plan', under which SBI-led consortium would provide an emergency loan of Rs 1,500 crore and in turn acquire a majority stake, following which founder chairman Naresh Goyal and wife Anita would leave the airline and pare his stake to around 25 per cent. But banks have disbursed only under Rs 300 crore in small tranches, citing procedural delays. This left the airline cancelling hundreds of flights as the airline failed to pay the lease rentals. 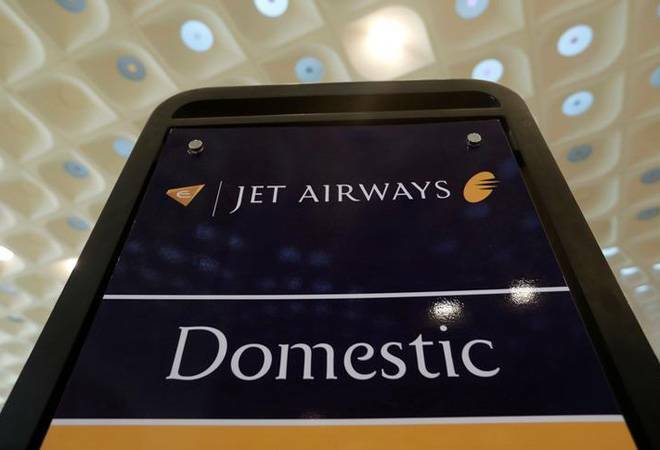 "Necessary support to facilitate the (Jet Airways resolution) process is being extended by the banks in the consortium. Cooperation by and support from all the other stakeholders will be the key to the success of the process," a statement from the lead lender SBI said. It, however, was silent on whether the pilots' immediate demand to release the proposed Rs 1,500 crore is being disbursed. The bank said it is acting on behalf of others in the consortium. On the bid process, it said a prospective bidder will be shortlisted shortly by its i-banking arm SBI Caps. However, the pilots were clearly disappointed. "We would like to appeal SBI to release Rs 1,500 crore funds to help the airline continue operations. We also appeal Prime Minister Narendra Modi to save 20,000 odd jobs at the airline," NAG vice-president Asim Valiani told reporters at the airline's headquarters here.